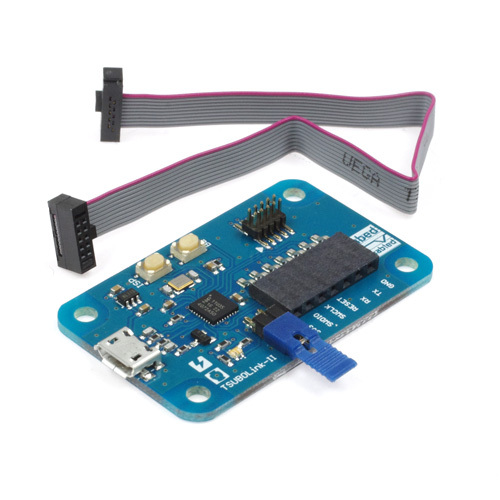 In addition to the CMSIS-DAP debug adaptor feature, TsuboLink-II for HRM1017 can be used to program the HRM1017 breakout by drag-n-drop the HEX file generated by the mbed online compiler. 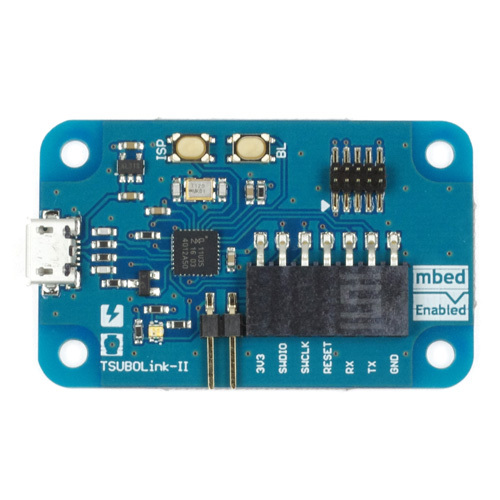 The combination of the HRM1017 breakout and TsuboLink-II for HRM1017 works almost identical to the mbed HRM1017.As its name suggests, this product is designed only for programming HRM1017 module with drag-n-drop and not for other Nordic nRF51822 based modules. It can supply 3.3V by VTREF which is 1pin of SWD (CoreSight 10), if you short a jumper on PCB with a jumper socket.